A joint bid from Hungary and Slovakia has been successful at the EHF Congress in Glasgow in their bid to host the Men’s EHF EURO in 2022. Thanks in no small part to a highly professional presentation, the member federations of the EHF decided to award the event to the two federations. Hungary and Slovakia have experience of hosting numerous handball events, including IHF Youth and Junior World Championships. Hungary already has experience of co-hosting an EHF EURO – sharing the role with Croatia for the Women’s EHF EURO in 2014, but neither has yet hosted a senior Men’s EHF EURO or IHF World Championship. Budapest has also hosted the Women’s EHF FINAL4 since 2014. 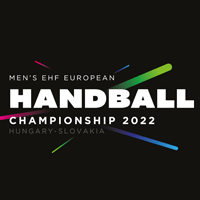 For more information on the bid visit the EHF EURO Beyond 2020 website and event profile on eurohandball.com. The bid from Denmark and Switzerland was withdrawn before the start of the presentations to focus only on their bid for 2024.